San Jose, California, is located in Santa Clara County and is in the heart of Silicon Valley. With a population of 894,943, San Jose is a vibrant, thriving metropolitan community. Culture, arts, and technology dominate here as evidenced by the innovative Tech Museum, the San Jose Museum of Art, and the Children’s Museum. 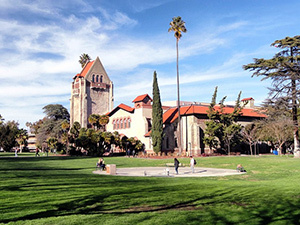 Additionally, a campus of the California State University calls San Jose home. The newly developed Santana Row, a pedestrian arcade of upscale restaurants and designer shops combined with luxury apartments reflect the city’s trend-setting and upwardly mobile lifestyles. San Jose properties pool is 276,417 residential properties including San Jose new homes. The median age of real estate in San Jose is 1972. The average household size is 3.62 people. 5% are one bedroom homes, 20% are 2 bedroom homes, 37% are 3 bedroom homes, 30% are 4 bedroom homes, and 6% are 5+ bedroom homes. Architectural styles of home vary in San Jose. Victorians, craftsman bungalows, and condominiums abound in this historic and contemporary city. San Jose Real estate Tax: Median Real Estate Taxes (2000) were $2,423 compared to 1999 Median Family income $ 74,813. Compare to USA median yearly Real Estate Tax $1,300 and USA median Family Income $42,000 (1999). San Jose School District: Children make up 26.4% of San Jose population. San Jose has 236,124 under 18 years old residents, or 0.55 kids per one worker, or 0.85 kids per one household. There are 49755.06 or 18% one person households, 77396.76 or 28% two person households, and 46990.89 or 17% three person households in San Jose, California. The median residents’ age is 32.6. Senior citizens (65+) make up 73,860 or 8.3%% of San Jose population. There are 427,984 workers (over 16 years of age) in San Jose working in all sectors of industries. The technology field, however, dominate. While public transport is available, 90.45% of workers drive to their place of employment. Approximately 4.08% of workers in San Jose take public transportation. An estimated 1.44% walk to work.